Welcome to most informative and largest English language site for RISO & PRINT GOCCO products on the Internet. We have have over 39 years hands on experience and a large range of products to meet all applications and budgets - so browse through our site, search for an item or application or ask us a question. If you want to know more about us click here . .
Our screen imaging service has just been upgraded to use the new (not officially released yet) GOCCOPRO digital screen maker system, turning designs into screens digitally - yes no lamps, no thermal-copiers, no artwork preparation and NO PINHOLES! Straight from computer to imaged screen in a few minutes - lowering our costs which are passed straight onto you! To download the Easy Screen Form and see the new screen costs/ options - click here . .
Want to see how fast and simple creating a screen printing screen really is? This demo uses a Print Lamp imaging system, for Thermal-Copier models visit the Video Section. Low cost packages with the essential equipment to get you started - with only a few small designs or you can upscale for printing dozens. Print A5 to A3 with single and multiple colours options. Past the samples and test stages, the Home Business packages are for serious printers looking at a low cost entry level system with all the right equipment. As your business grows you have a higher volume of designs and screens - a Thermal-Copier lowers screen costs and speeds the imaging process. Suitable for both upgrading customers or starting a new screen printing business. Add this package to an existing embroidery business or upgrade your home business to a professional operation. Complete screen printing setup for A4 or A3 - up to 6 colours with full range of inks, mesh and supplies for the serious business. Complete range of screen printing supplies for beginners and professionals, whether your starting a new operation, or stocking up. Presenting the BoxStar, every crafter's favorite tool for box crafting! The BoxStar is a tool that scores your card/ paper to create both the top and bottom of boxes in dozens of different shapes and thousands of sizes - always creating the perfect fit. 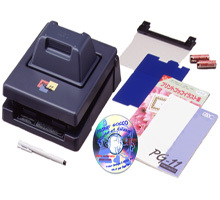 Card and paper printing systems. All models have now been discontinued by RISO, with supplies remaining available.